I had no idea what to expect when I decided to open an online store with my girlfriend, fashion designer Yeni Zhang. We’d talked for ages about finding a way to combine our talents – her fashion and design skills with my story writing and marketing abilities. We decided on “Mysterious” – a place where people can collect unique fashion items inspired by my twisted fairy tale interpretations. 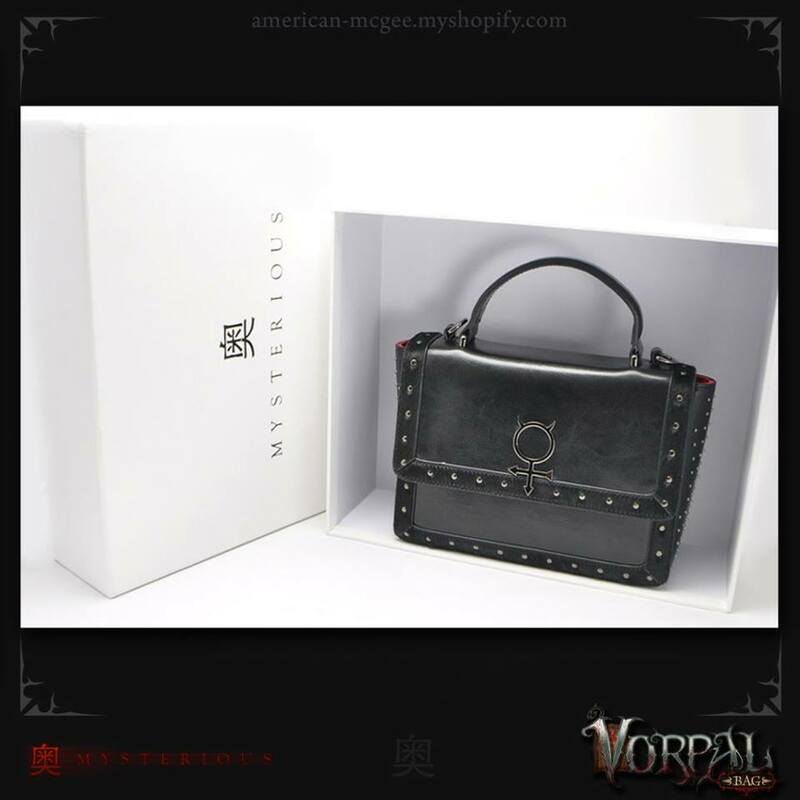 “Just letting you know that I received my Vorpal Bag today. The packaging was great, it seems like a lot of care was taken to keep the bag in pristine shape. I thought the white box was handsome, and appreciated the canvas bag as well. All the protruding metal parts of the bag were covered so as to prevent damage, which was a nice touch. The next product we introduced was The Vorpal Wallet. Sales of this high-quality leather collectible wallet have been insane! In less than a week we’ve sold over 125 of the 200 that were produced. 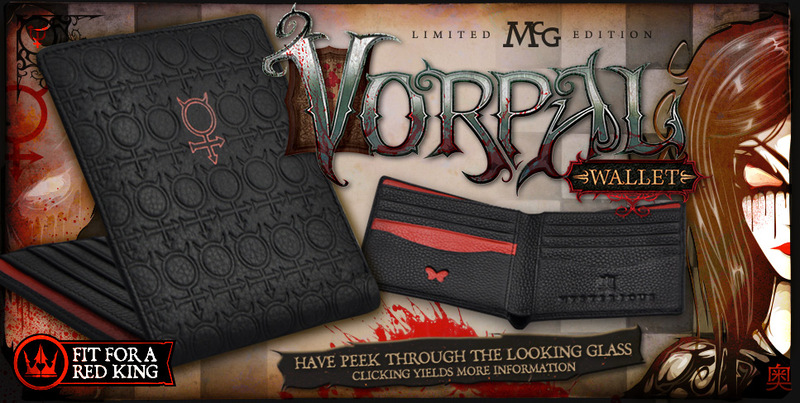 If you want to collect one of these limited edition wallets, you’d better move fast! Very excited by the positive reaction we’ve had from collectors around the world. Now we’re scrambling to get more bags, wallets, and accessories designed and added to the Mysterious shop. We had no idea these first items would go so fast or that this side project would be so much fun! What’s next? Yeni’s just put finishing touches on designs for a smaller, less expensive Vorpal Purse. 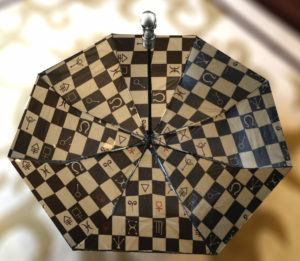 We’re also working on design ideas for a line of umbrellas and scarves featuring twisted fairy tale prints. There’s also a Red Riding Hood themed “Big Teeth Bag” in the works! We’d love to hear your feedback. 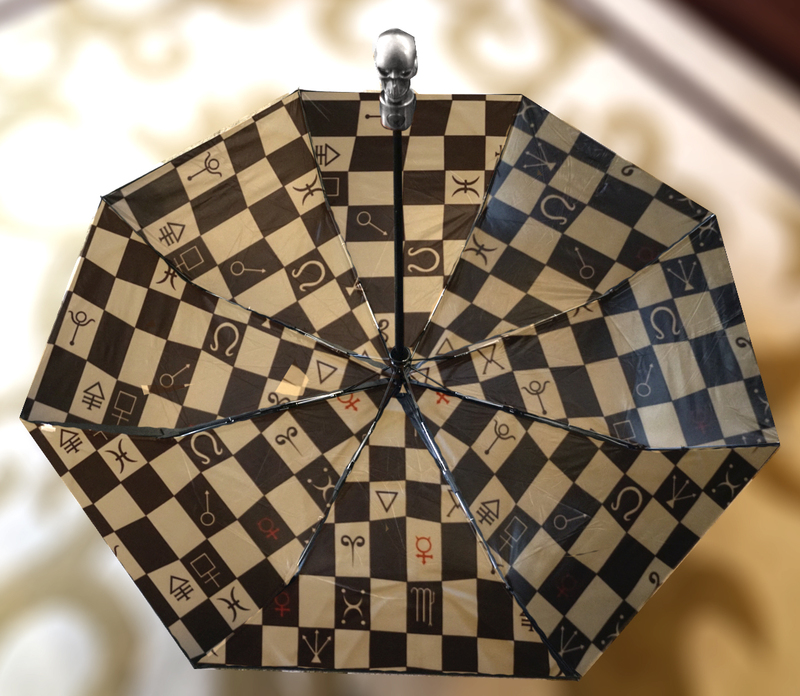 What kind of items would you like to see added to Mysterious? Let us know by sending a message via the Mysterious Facebook page, or Mysterious shop page.